I ended November with finally getting around to winter prep for the chicken coop. Aside from squeaky clean roosts, nesting boxes and feeders, the girls now have a nice thick bed of shredded leaves in the run. Much frolicking is to be had rifling through the leaves when I throw a handful of sunflower seed or cracked corn in there. 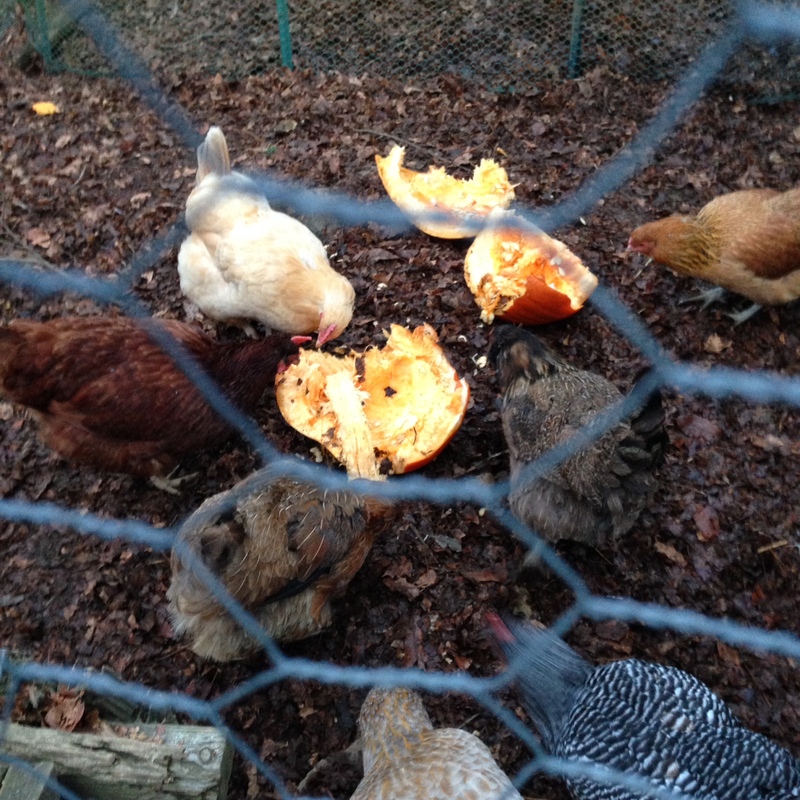 I also took the remaining pumpkins from the porch and cracked them open in the run… the girls love pumpkin seeds! With that done, now it’s time for evergreens, holly, warm wool mittens and snow. Fa la la!